The new reporting tools were created with simplicity and accessibility in mind. A field wallet was added to end-point ‘ledgers’, giving information about which wallet the movement corresponds to. End-point ‘currencies’ was added, which gives list of available currencies with id and full name. End-point ‘userInfo’ was added, returning information about the users profile. End-points ‘accountTrades’, ‘orderHistory’, ‘fundingOfferHistory’, ‘fundingLoanHistory’ and ‘fundingCreditHistory’ were modified, adding the option to return all the data without filtering by pair/coin when no pair/coin is sent. All endpoints of api_v2 now work with authToken instead of apiKeys, giving the option to use this same tool both locally and as an extension of Bitfinex web platform. 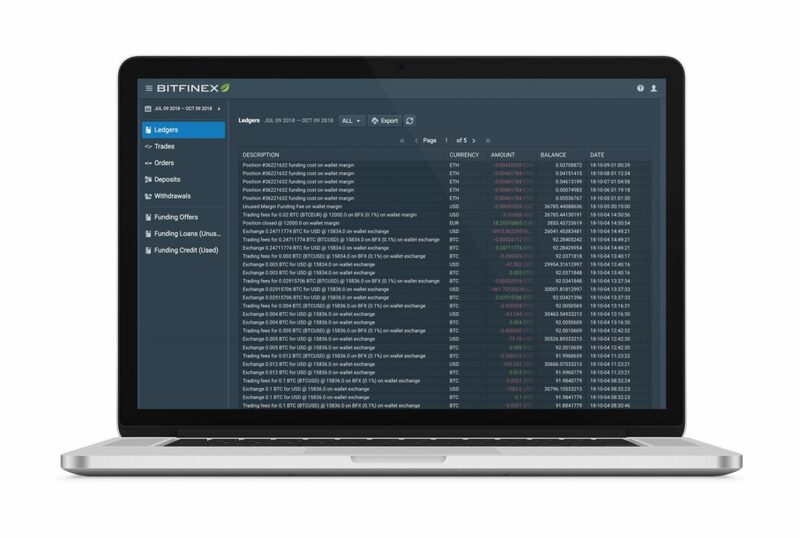 To view the updated reporting tools available on Bitfinex, visit bitfinex.com/reports.